My husband and I met almost 7 years ago...wow, time sure flies!! When I first met him it was one of those "Oh, he's OK." type of reactions. I wasn't swept off my feet (at first) and had no fuzzy feelings for him (at first!). It wasn't until we knew each other for a few weeks that I began to notice a change in how I felt for him. He didn't vocalize his feelings at all, but I could tell by the way he was acting that there was a bit more to our friendship then met the eye. Soon after that we were officially courting and I was in love. Our first Christmas together, we had been together for 2 months. I noticed that he didn't wear cologne and that was something that I wanted to get for him. So, for his first Christmas gift I gave him a really wonderful cologne and he wore it every time we were together. It was such a special thing to know that he did it for me and that he actually LIKED it too! Getting guys to like things can be difficult but this was easy. :) He wore this same cologne on our wedding day and I can still tell you exactly what it was called, where I bought it and how it smelled. I love remembering those days! Through astute acquisitions and licensing partnerships, Coty Inc. has achieved a leadership position in fragrance and has quickly emerged as a leading global beauty company with sales of nearly $4.1 billion for the year ended June 30, 2011. Driven by passion, innovation, creativity and an entrepreneurial spirit, Coty has built a unique portfolio of brands that have produced some of the strongest consumer franchises in history. Coty is a company that keeps changing, staying on the cutting edge by meeting the increasingly sophisticated demands of consumers in a mercurial global market. And it's been doing so for over 100 years. All over the world. With offices in more than 30 countries and a strong presence in 135 markets, Coty successfully brings to market its brands faster, further and freer than most other beauty companies. Our brands transcend borders and boundaries. Our unique business model, based on developing our power brands, licensing agreements, acquisitions and joint ventures, gives the company an agility and flexibility that sets us apart from other beauty companies. Coty has two key areas of expertise: fragrance and beauty, and one focus: the future. What I love about Coty is the fact that they offer such a diverse line of products that can all be found in one place. They also give you links to the products direct page if you wish to explore the product a bit more before purchasing. So, for this review I was sent three different colognes for my hubby to try. I also "tried" them as I smelled them after he used them. :) I was sent: David Beckham Homme, Guess Seductive and Tim McGraw Soul2Soul. 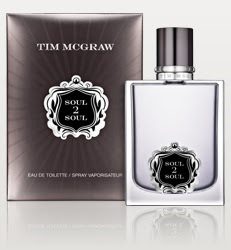 The first cologne he tried was the Tim McGraw Soul2Soul. I have to admit, this was by far my favorite. It has a modern and "woodsy" scent to it with undertones of Oak Tree, Saffron and Cilantro. Combined with many other wonderful scents, this cologne is pretty amazing. This is NOT an aftershave though and hubby reminded me of that after he used it after shaving. At first, it was strong smelling but after he had it on awhile it was very pleasant. DEFINITELY a great scent for men. Second, we tried the Guess Seductive. This cologne is a bit different in scent and kind of reminds me of a stronger cologne. Hubby didn't care for this as much as the Tim McGraw fragrance because it was too strong for him. He is a subtle guy and doesn't want to be too overpowering. I think though, this fragrance would be great for the right man. One thing I loved about this cologne was that the square cap on the bottle is magnetized and attaches to the bottle really easily. Great feature! Lastly, there was David Beckham's Homme. This is a cologne that is scented like Dahlia flowers. I have never smelled them before, nor have I ever seen them (that I can recall) but if they smell anything like this fragrance, they have to be beautiful! Now, this is not a floral, flowery or feminine scent at all, which was surprising to me seeing that it is created with a flower. I thought that the scent was not as powerful as Guess, but a bit more subtle. Our thoughts on this one was that it was fine, but not our favorite. Definitely a different scent that is worth a try! Each of these colognes can be found on Coty's website and from there, you can find links to the direct websites to purchase these products. So, in my opinion...Coty Fragrances is a wonderful company! I love how easy their website is to navigate and also the ease in which you can find a particular fragrance. 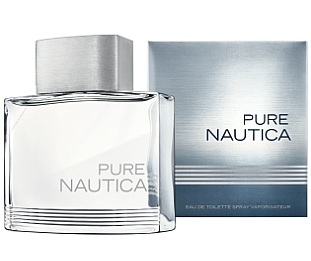 They carry men's cologne as well as women's perfumes, all in celebrity fragrances! I would recommend this company to anyone looking for a great gift idea for hubby when it comes to cologne. The selection is fabulous and the products are amazing! Disclaimer: I received no monetary compensation for this post. I did receive 3 Coty Fragrances for review purposes. All quotes and stock photos are from the Coty website and email. Prize is being provided and shipped by the sponsor All thoughts and opinions are 100% mine. David & victoria beckham is one I want to try. I would like to try the Beyonce fragrances. I would like to try the Marc Jacobs fragrance. I'd love to try Vera Wang. I like to try the Faith Hill Parfums. kristiedonelson(at)gmail(dot)com Thank you. JOOP! Is my favorite fragrance for my husband. I would like to try the Kylie Minogue-Darling fragrance. Thanks so much for hosting this great giveaway! I forgot to leave my email address with my comment. Please delete my previous comment. I think I would like the Faith Hill. I'd like to try the Halle by Halle Berry fragrance. Thanks. Id like hubby to try Baby Phat! I would like to try Celine Dion. I'd try Adidas. I'm sporty. Adidas sport is a favorite of mine. I like Lovely by Sarah Jessica Parker. My favorite is Glow by JLo. I would like to try Davidoff Cool Water Woman. My favorite is Celine Dion. My favorite is Sarah Jessica Parker's Lovely.